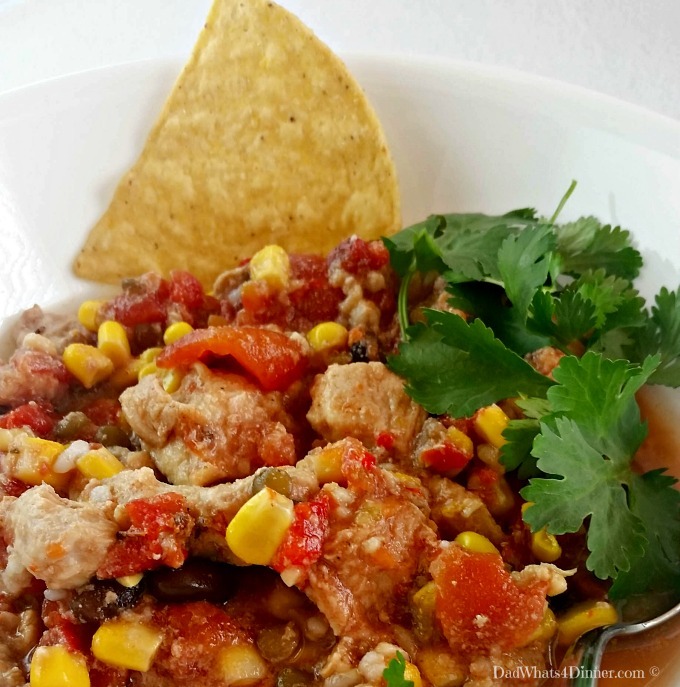 My easy Slow Cooker Mexican Pork Stew is an awesome weeknight meal. 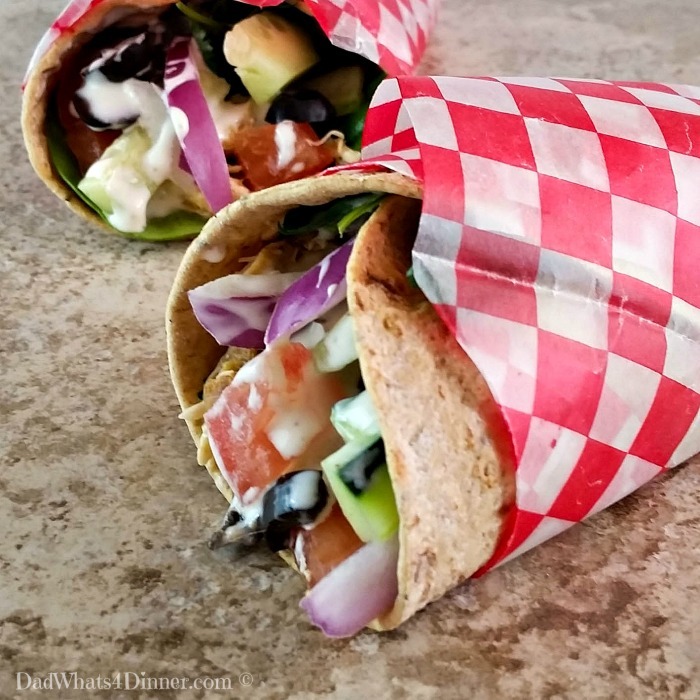 Loaded with protein and veggies. 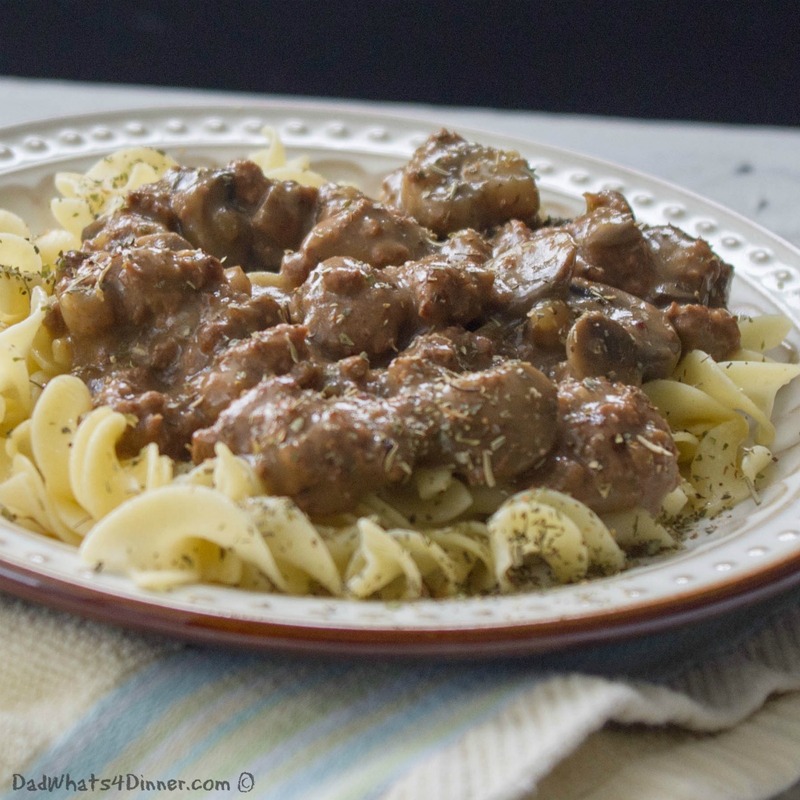 This is the 12th recipe in my yearlong series “26 Weeks Of Slow Cooker Meals” Make sure you check out all my easy slow cooker meals at my Crock Pot Recipe page. Can you believe Cinco De Mayo is only a month away. That means summer is almost here. I had to brake down and mow my grass for the first time this year. That means for the next three months I will be mowing at least two times a week. The first grass mow also signals the start of spring soccer season. So needless to say I will be in need of more slow cooker recipes. 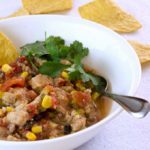 There are lots of version of Slow Cooker Mexican Pork Stew on the web. I was going to call this recipe Pork Pozole but to make it authentic you need to use hominy. 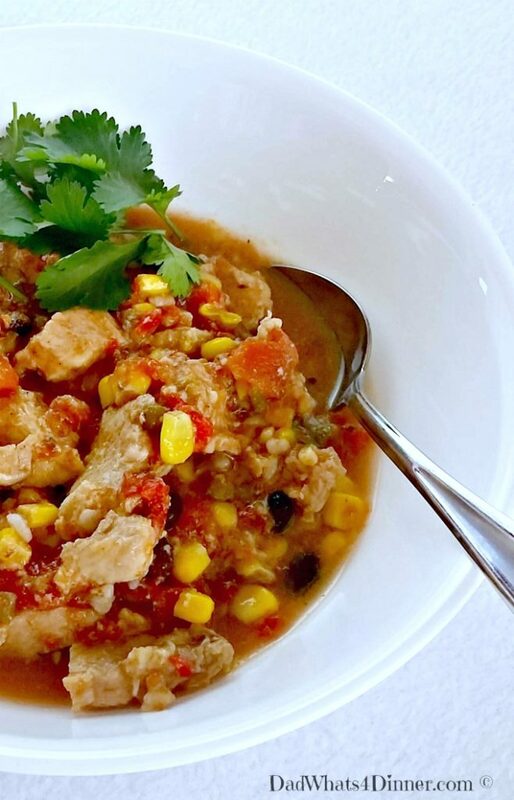 Corn hominy is used as a thickener for Pozole which is similar to a gumbo. 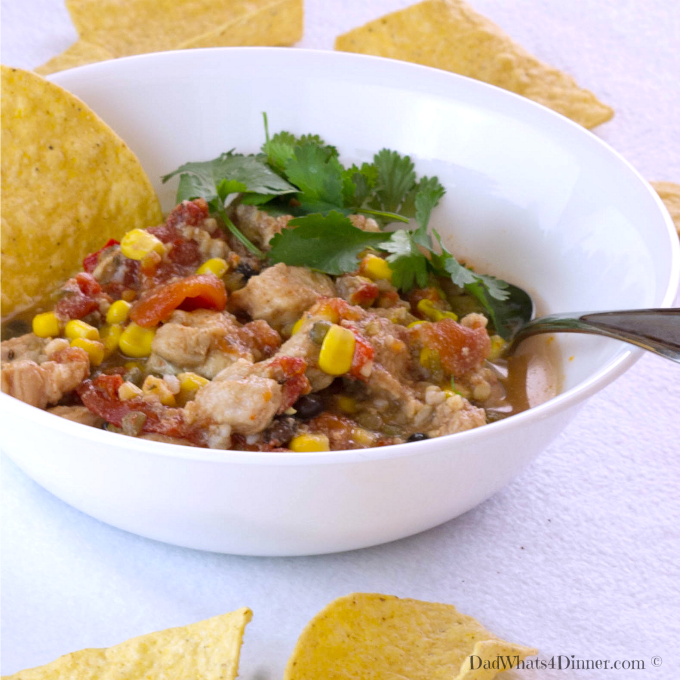 My Slow Cooker Mexican Pork Stew is thickened with the addition of black beans. Feel free to add hominy or any other ingredients you might have in your pantry. That’s the beauty of many of my slow cooker recipes, you can add or take away any ingredients you like or have in the house. Simple, healthy and tasty is the way to go to give your family a great weeknight meal. 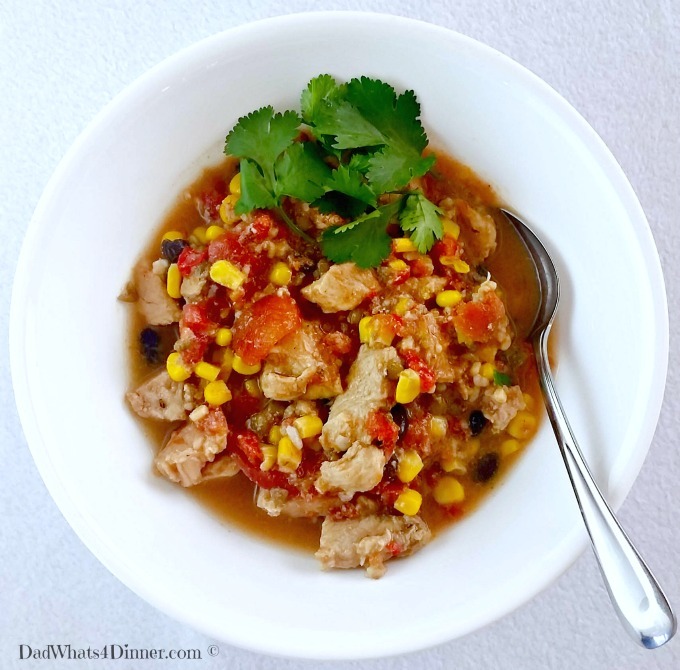 To make Slow Cooker Mexican Pork Stew simply remove excess fat from your pork. Cube and season with cumin, salt and pepper. Throw it in the slow cooker. Toss in the vegetables, beans, tomatoes and the chicken broth. Cook on low for about 5 hours. Serve as is or over white or Spanish rice. Trim fat from pork, cut into 1/2 inch cubes, season with next 4 ingredients. Add tomatoes through garlic to slow cooker and stir to combine. Cook on low for 5 hours until pork reaches 150°F. I also will be bringing Slow Cooker Mexican Pork Stew to Freedom Fridays, Friday Favorites, Fiesta Friday, Weekend Potluck, What’s Cooking Wednesdays. Checkout my Link Parties Page for other great places to find new recipes. I really underutilize my slow cooker. I have quite a few of YOUR slow cooker dishes bookmarked to make- and now I’m adding this one to my list! Thanks so much, Quinn. 🙂 Happy Easter to you & your family too. You brightened up my day by reminding me that summer and mowing lawns is not far off. It is snowing like crazy where I am now, but I will believe. This slow cooker pork is a great meal for any weather. Thanks for bringing it to FF to share! Have a lovely weekend. Happy FF Hilda! What part of the world are you living in. I’m pretty sure we are done with snow her in SW Ohio. This looks so good! I think I have to invest in a slow cooker, all these fantastic recipes everywhere and all are so simple but look stunning! I’ve nominated you for the Liebster Award since I think your blog is pretty amazing and you always post things that makes me so hungry! I am drooling Quinn! This stew looks delicious! I hope you had a wonderful Easter weekend! Thanks Julie. I will G Hangout uiu tomorrow. This looks delicious! Thanks for sharing your recipes with us at Snickerdoodle Sunday! Shared! I’m loving the ingredient you used to thicken this stew! Definitely putting this on the menu (and in the slow cooker) for our busy days to come … now that soccer nights are starting! Looks so yummy! Feel free to share at my weekly parties. Pinned for later. This sounds so delicious. I love any kind of Mexican dish, and slow cooker, too. So this sounds like a big win-win 🙂 Pinned! Thanks for linking up with Merry Monday this week! This looks delicious! I’m always on the lookout for a new and different slow cooker recipe. Thank you for sharing at Merry Monday!